Wrap Scarf with Sleeves - 5 Colors Just $14.95! You are here: Home / Great Deals / Wrap Scarf with Sleeves – 5 Colors Just $14.95! Wrap Scarf with Sleeves – 5 Colors Just $14.95! This is a great accessory! Order a Wrap Scarf with Sleeves – 5 Colors for Just $14.95! We just love these scarves!!! 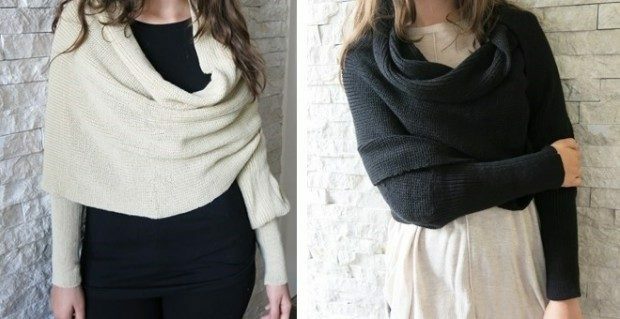 They come with built in sleeves and can be worn in so many different ways! One of the coziest scarves this season – Perfect for Fall and Winter! Click here to check out more Great Deals!